Johannes Brahms' Piano Sonatas, Op. 1, 2 and 5 were among the first works that the 20-year-old composer published. They were composed in 1852/53, although this ?Sonata in F-sharp minor? was apparently the first of the three to be composed, as it was finished by November 1852. This work has a special place in his oeuvre. Besides its passionate atmosphere, his contemporaries discerned it to be ?serious and dignified in character.? Brahms dedicated this sonata to Clara Schumann, whose husband Robert wrote to the composer that ?Your second sonata, my friend, has brought me much closer to you.? The ingenious fingerings have been provided by the pianist Andreas Boyde, a recognized Brahms expert. Score and Parts. By Johannes Brahms. Arranged by Alamiro Giampieri. (Clarinet). Woodwind Solo. Size 9x12 inches. 27 pages. Published by Ricordi. By Radu Lupu. By Johannes Brahms (1833-1897). Listening compact disc. Published by Decca (NX.LON417122). Clarinet and Piano. By Johannes Brahms. (Clarinet). Boosey and Hawkes Chamber Music. Size 9.25x12.25 inches. 30 pages. Published by Boosey and Hawkes. By Johannes Brahms. Edited by Hans-Christian Mueller. Arranged by Hans-Christian Mueller. Published by Wiener Urtext Edition/Vienna Urtext Edition. 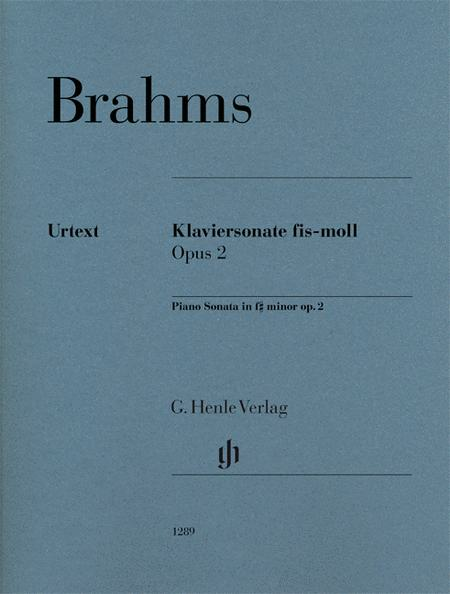 Composed by Johannes Brahms (1833-1897), edited by Stephane Jutt. 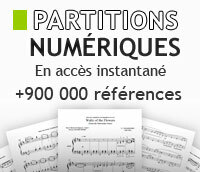 Set of performance parts for flute and piano. 34 pages. Published by International Music Co.
By Johannes Brahms. Edited by Edmund Kurtz. For cello and piano. Set of parts. Published by International Music Co.
Viola and Piano. By Johannes Brahms. Arranged by William Primrose. (Viola). String Solo. Softcover. Size 9x12 inches. 32 pages. Published by G. Schirmer, Inc.
By Johannes Brahms. For Piano, Clarinet. Classical. Solo part with piano reduction. Opus 120. 24 pages. Published by Carl Fischer. Clarinet and Piano. By Johannes Brahms. (Clarinet). Boosey and Hawkes Chamber Music. Size 9.3x12.3 inches. 30 pages. Published by Boosey and Hawkes. Ops. 1, 2, 4, 5 and Op. 10, Nos. 1 - 4. By Johannes Brahms. Edited by W. Georgii. Piano (Harpsichord), 2-hands. Pages: 127. Urtext edition-cloth bound. Published by G. Henle. for Violin and Piano. By Johannes Brahms. Edited by H.-O. Hiekel. Violin. Pages: Score = 103 * Vl Part = 36. Urtext edition-paper bound. Published by G. Henle. By Johannes Brahms. Published by Vienna Urtext.